This past week we’ve reached a historical milestone in the Street Vendor Movement and the LA Street Vendor Campaign. The LA City Council approved for the first time ever a proposal for legal sidewalk vending across the city! 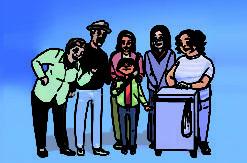 This came after months of organizing and advocating by street vendors to approve a program that did not include the problematic property owner veto. Council removed the veto and other unnecessary location restrictions and voted to approve the proposal with an 11-4 vote. And we did not stop there. 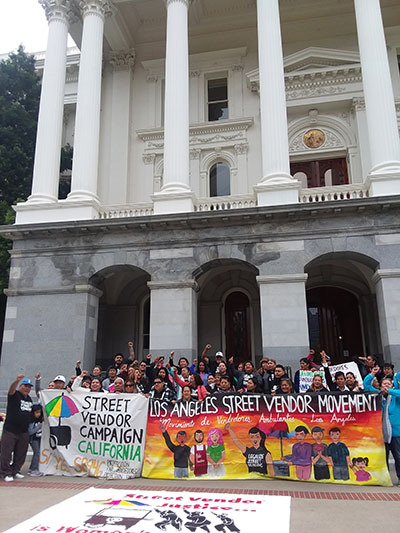 Street vendor leaders cheered out of LA City Hall and onto a bus to Sacramento. Just one day after the LA City Council win, vendor leaders walked the halls of the State Capital in support of #SB946 Safe Sidewalk Vending Act. The State Senate Governance and Finance Committee voted in support of #SB946 and it is headed to the Senate floor! Before the strength of the Street Vendor Movement unleashed onto the halls of the state capitol we shared some words with our Vendor Leaders. We shared that we are filled with pride and inspiration for their dedication to transforming the world we live in. We shared with them to walk the halls with confidence, as their voices were the ones that brought us on this path. 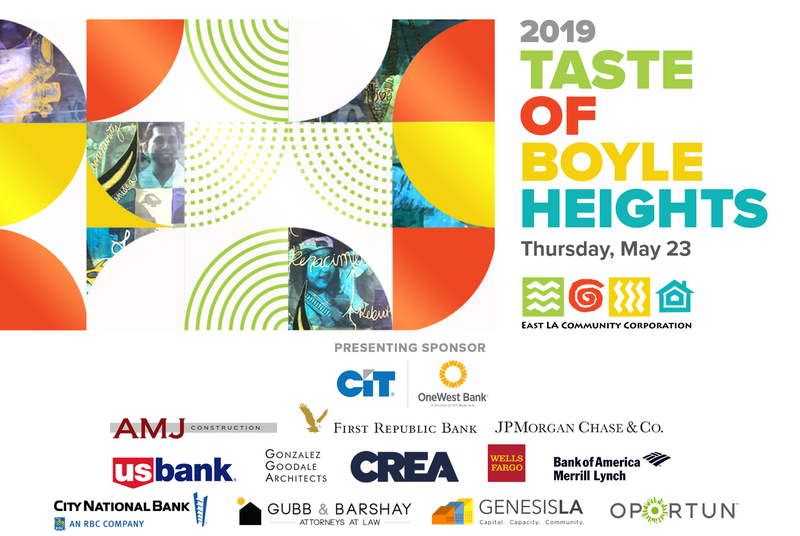 Ten years ago, we at ELACC started our journey with the vendor leaders with a simple ask: A moratorium on enforcement in Boyle Heights. 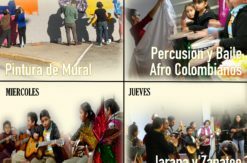 That “No” through community organizing and coalition building has grown to a resounding “Si Se Puede” across the City of Angels and now across our Golden State. We want to thank all of you who have been supporting our work in organizing and mobilizing street vendors in the City of LA. 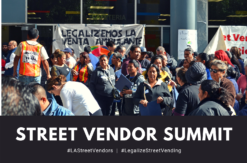 As #SB946 moves through the state legislature and as we gear up to support thousands of vendors in the implementation of the street vending program in Los Angeles, we will need your continued to support to ensure we can successfully do this work. Consider becoming a monthly donor at $10 a month in honor of our 10 years in the Street Vendor Movement. You can make this Statewide initiative possible.